Earphones -The alternative to expensive and bulky headphones. Not everyone is a fan of headphones and even if you are, you may find that it can be a little bulky to carry around all day. So the sensible alternative is to have a pair of earphones with you, it’s light, it’s convenient, it’s inexpensive and it gets the work done. We look at some earphones at very affordable prices for your needs. Resembling the shape of a capsule, this pair of earphones is designed to have that modern touch. 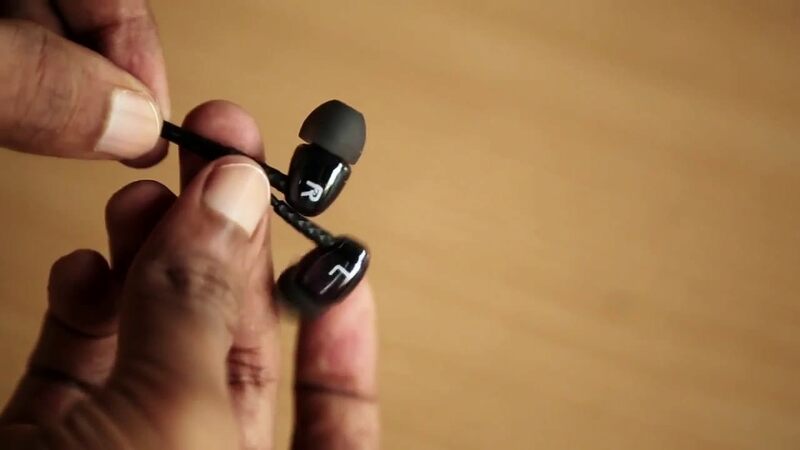 Its 45-degree bevel design creatively ensures that it’s firmly snug in your ears, giving you stable audio input. The Mi Capsule also comes with a spiral damping balance system to let you enjoy nice and natural music. You can manage calls from your Android device using the on-cord control, their functions are to answer/hang up and control the volume. Using Kevlar fiber and thermoplastic elastomer (TPE) material, your Mi Capsule is set to stand the test of time. Life is full of ups and downs like our activities at times. The last thing you want is to have your earpiece fall off in the middle of a rigorous workout, and that is why the JBL Focus 300 has Twistlock Technology to provide a secure fit so they don’t fall off during your physical activities. You can be assured that you can focus on your outdoor activities under rain or shine because the Focus 300 is rain, sweat, and waterproof. This earphone is made with ultra-soft flexible silicone for extra comfort for long use. Ambient noise is not cancelled out so you may hear what’s happening around you. The 1-button microphone system lets you manage your calls and music easily. Sony is always as reliable as ever and it is a good option if you still don’t know which brand to choose. Get comfortable with the hybrid silicone earbuds of the EX150AP as the material is designed to deliver maximum pleasure to the ears without compromising on sound quality. The clear and powerful sound is delivered through its high-power neodymium magnets, and you can also customize smartphone controls on your Android device using the Sony Smart Key app. It can also be used as a convenient hands-free device. Sound clarity is something you need not worry about when you’re using the SHE9100 because it is encased in a sturdy aluminium housing that prevents vibration. There is an anti-tangle slider which keeps your cables neat. With 3 sizes of silicone caps to choose from, you’ll be sure to find a pair that gives you absolute comfort. Sound is also delivered crystal clear in high-frequency clarity through its oval sound tubes. The Arche Earphone Bluetooth 4.1 gives you the freedom of mobility while having an excellent appearance. Enjoy your workout with crystal clear sound and super bass resonance while having surrounding noise reduced. You’ll be able to thoroughly enjoy your workout and even manage your calls and music with the full set of controls. A fully charged battery will give you up to 6 hours of playback. Have 2 phones and either one could ring at any time? No worries, you can connect this baby to both your phones and take an incoming call from any of them. The Skullcandy JIB is indeed made to deliver sweetness to your ears. This simple pair of earphones is lightweight and sleek-looking. It comes with 3 sets of silicone earbuds for you to select the pair that best suits you. Complimenting this is high-quality audio and deep, powerful bass along with the highs bringing out the natural vocals. The 3.5mm jack is compatible with most smart devices. Sennheiser is a well-established German audio company known for their high fidelity products such as earphones and headphones. The CX 175 gives you powerful sound from its dynamic transducers. Its technical data frequency response of 17-23,000 Hz and 3.5mm jack makes it ideal for most phones, tablets, and music players. The product comes with multiple sizes of earbuds (S, M, L) to suit you perfectly and giving you maximum comfort. Its 1.2 meter asymmetrical cable allows you to have the longer earphone go behind the neck for more mobility. This product comes with a 2-year warranty.